During the month of April I am busy creating a new commissioned artwork to celebrate the 60th anniversary of the Fulbright Foundation in Taiwan. The Fulbright program that began in 1957 has sent thousands of US scholars all over the world, and thousands of scholars from other countries have come to the United States for cultural and academic exchange. During its 60 years Taiwan’s Fulbright Foundation has financed over 1600 Taiwan grantees to the U.S. and 1400 U.S. grantees to Taiwan. In 20003-04 and in 2004-05 I was a Fulbright Scholar artist in residence in Taiwan. My Fulbright research project was to make my handmade paper art with plants of Taiwan, and I traveled all over the country doing this and creating what I call “site maps” of Taiwan and different regions, cities and counties in Taiwan. Each “site map” is a mixed media artwork created from handmade paper I made using local plants. After two years on the Fulbright grant in Taiwan I stayed and continued my work in Taiwan as an independent artist for 8 more years. I have used over 187 different plants of Taiwan to make handmade paper for my artworks. 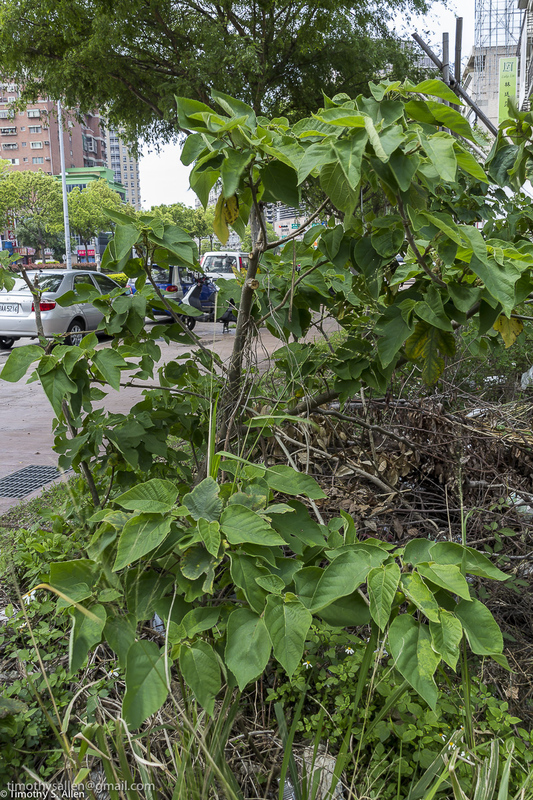 This photo show the paper mulberry tree plant growing like a weed in Taiwan. It is one of the world’s best plants for papermaking. My Fulbright Taiwan 60th Anniversary Site Map will depict a map of the USA joined with a map of Taiwan. The USA part is made with handmade paper from US plants created at my artist-in-residency projects in several states of America during the past 12 years. The Taiwan part is created with handmade paper from plants of Taiwan made during my 8 plus years working in Taiwan from 2004-2012. 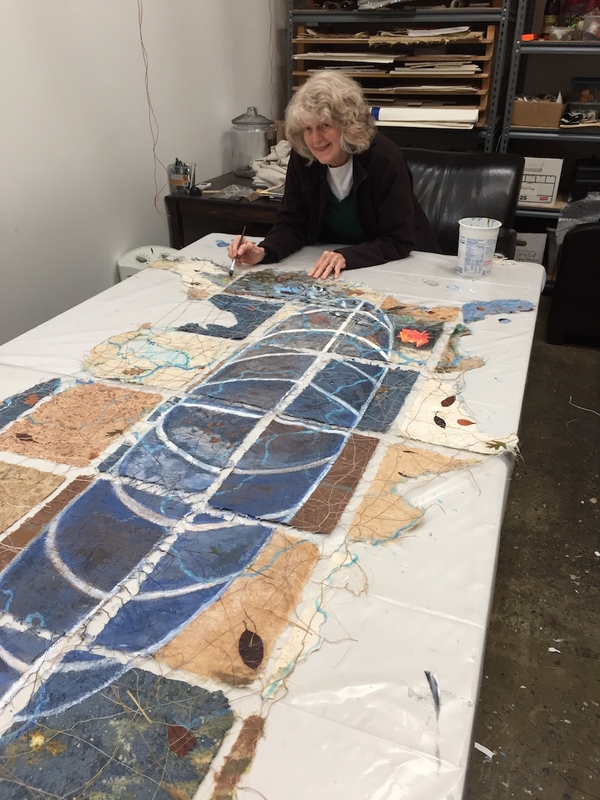 The two map artworks will be joined with threads to literally and symbolically show the ties of friendship uniting the two countries and celebrating the 60 years of the Fulbright program in Taiwan. The artwork will feature collage and painting of the natural world and the cultures of both countries and also include many photos of Fulbright exchange experiences over the 60 years. 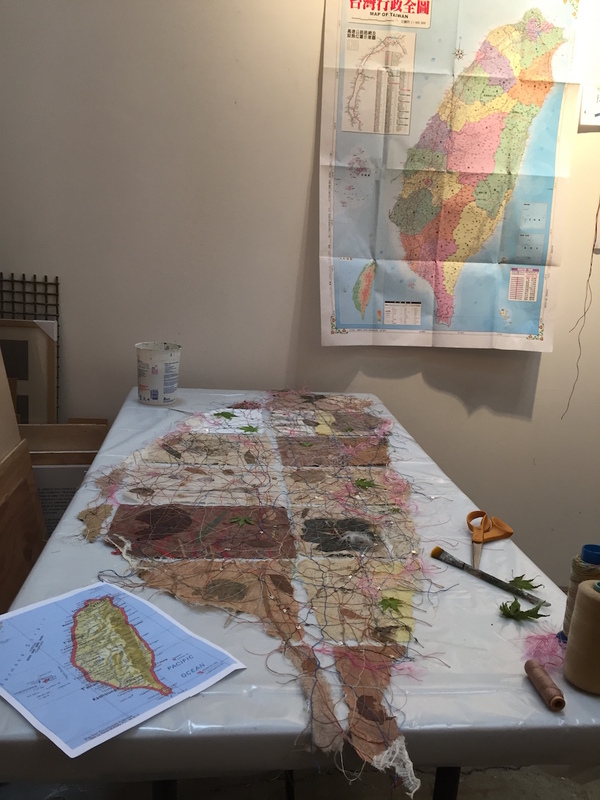 Here are some in progress photos of the Fulbright Taiwan Anniversary Site Map artwork I am creating in the small studio I have rented for the month of April in Santa Rosa, CA. I will post photos of the finished artwork on this Blog before I ship it to Taipei to arrive before June 1.